Select rooms at our hotel in Kissimmee, FL are designated as pet-friendly. These rooms all allow four-legged friends upon the basis of a completed advance registration form and waiver sign-off. 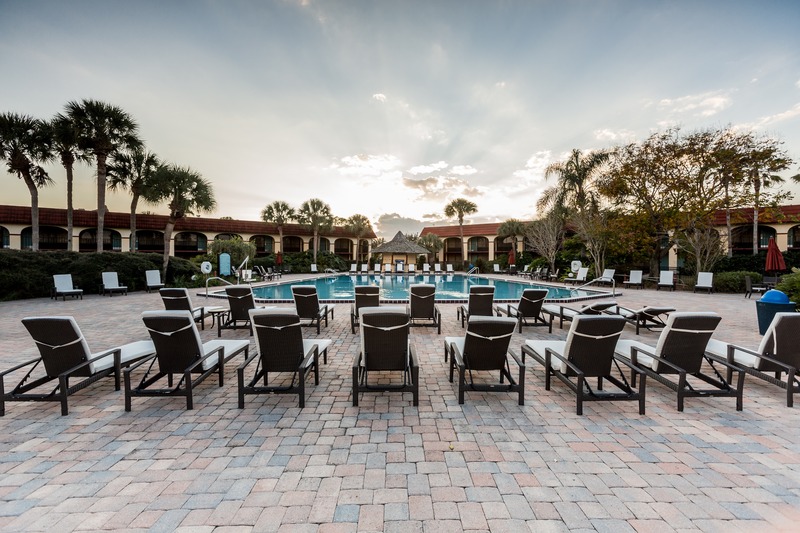 These rooms are adjacent to our special “Pooch Park” pet exercise area, a spacious grassy lawn that gives your pet room to get outside blow off some steam at our pet friendly hotel in Kissimmee, FL. Our hotel rooms near Disney World offer plush bedding that provides total relaxation and cable TV to keep the kids occupied. You’ll be able to take in stellar views of our outdoor pool area, stow valuables in our spacious in-room safe and brew piping-hot coffee, all without leaving the comfort of your guestroom. WiFi also located in all of our hotel rooms! Credit or Debit card is required and must be presented at check in. The hotel charges a handling fee for all guest packages in the amount of $5.00 per package. A $25.00 per night PET FEE is charged/ non refundable, as well as a $100.00 PET DEPOSIT (refundable).